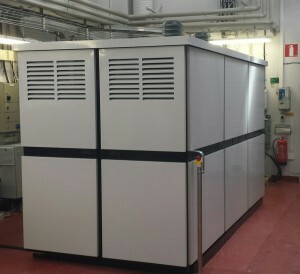 In September 2015, a new European R&D project INNO-SOFC for developing next-generation 50kW fuel cell systems for efficient and low-emission electricity production was started. Convion is a member of a large European consortium aiming to collaborate on forming an efficient value chain for entire fuel cell systems. An EU Horizon 2020 funded project is co-ordinated by VTT and will be completed by April 2018.The project budget is EUR 4 million, of which the Finnish SME’s Convion and Elcogen will be allocated a total of EUR 2.3 million. As of February the 23rd, Convion started an internal validation of its new Convion C50 product. The product is an integrated fuel cell power module based on solid oxide fuel cell (SOFC) technology and has nominal power output of 58kWe. Due to its modular structure, installations ranging from 58kW up to several hundreds of kilowatts can be accomplished by parallel installation of individual modules. The product is capable of combined heat and power generation (CHP) and is suited for operation on either natural gas or biogas. The C50 product may operate parallel to grid or in an island mode, securing critical loads in case of power outages.